We wanted to release only small fix version but we‘ve changed so much features that we have to say: New version is here! Let’s summarize what’s new. Track recording is one of the favorite features in Locus and it’s little bit improved now. 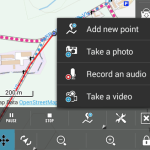 You can quickly add point with images, record audio or video and everything save together as one route. 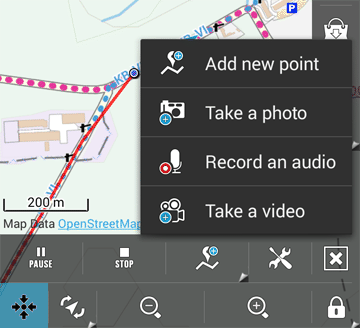 It’s useful for saving interesting places on your trips or easy tool for mapping. What do you think about new Point screen? New version improved the speed of this screen, you can hide overview map, but the important thing is more inteligent save function. We’ve completely improved it. Locus recognizes if you change anything and save changes when you press back button. On the other hand no change caused no save. It’s similar to Google’s applications and it’s quite quick way how to edit any parameters. Images in Geocaching screen (listing and image tab) fits to your device resolution so reading is much more comfortable. 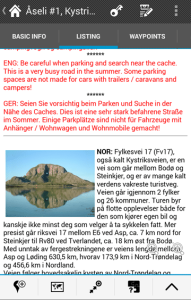 New version is really focused on image so you’ll be able to see images together with logs of other geocachers. 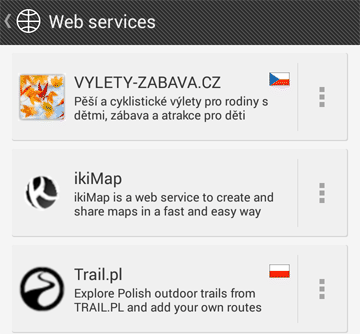 BUT it needs new version of Geocaching4Locus which is not released yet! Hi, I have a problem with starting the Locus on Android ICS since yesterday. Yesterday I could still do some hike with the app but now I cannot run Locus. When starting the app, the warning “Insufficient memory on SD card / internal storage in directory Locus (3MB)” appears. I have tried to delete some files, search “.odex” file (recommended by users on the internet) but there is no such file in my phone. Reinstall also didn´t solve it…. What´s the problem? sorry for late response. The error message says that your SD card is full. Locus needs about 10MB free space to start. So please check the free space on your SDcard. Honestly I don’t know “*.odex” files and they aren’t created by Locus app. Hi, looking at your locusmap for android very nice! I havet sea charts in bsb/kap format are those supported in the pro version? I bought the paid app and I like it a lot but it occurs to me that the GPS SATs diagnostic view is so useful you should make a version of code with just that and release it as a GPS app. I use it to debug other views when they fail.to see GPS and find the per sat visibility and strength and lock info amazing.